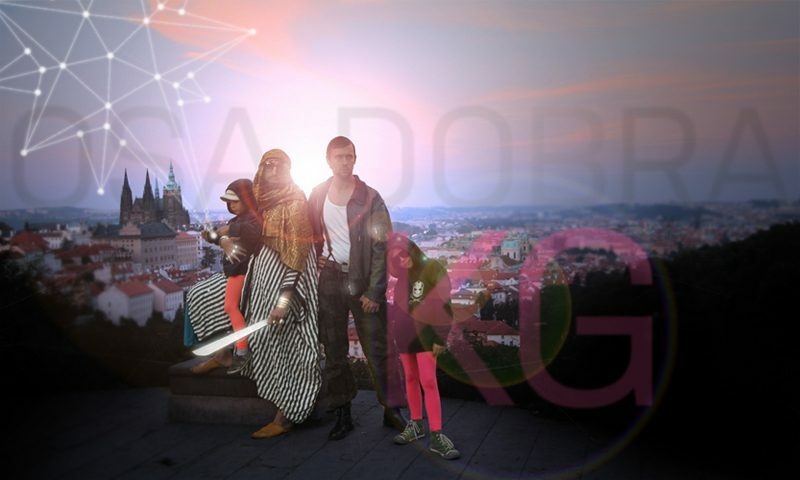 With weird beats and „intellectual rap“ Kyklos Galaktikos stormed onto Czech alternative music scene in 2011 with their album Osa dobra (Axis of Good) released as a free download from their webpage. Hip hop had already conquered the Czech mainstream, but Kyklos Galaktikos‘ experimental approach to the popular genre has become an alternative to the stagnant traditional hip hop scene. With their roots in independent theatre circuit, the trio has enriched the stereotypical genre formulas with elements of noise, musique concrète and ambient. Their acclaimed 2015 album Mezi lovci mezer (Between the Gap Hunters) proved that Kyklos Galaktikos still know how to surprise their fans.